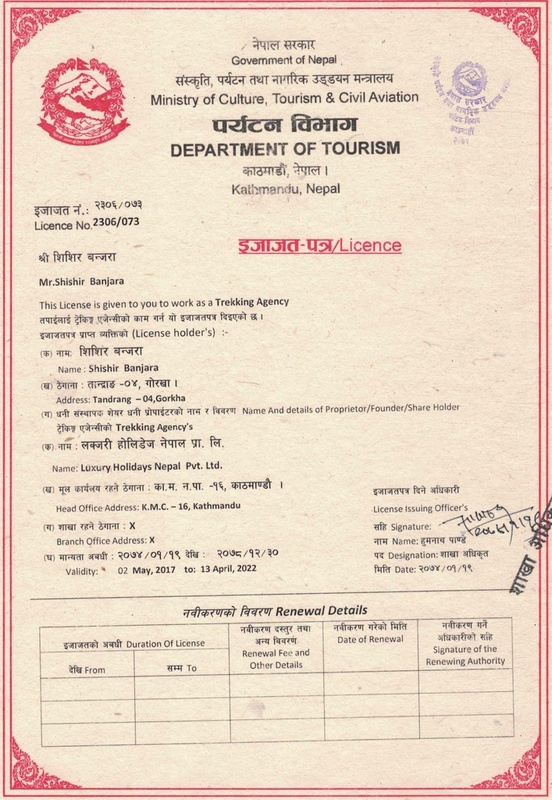 Luxury Holidays Nepal, we are committed to ensuring you have a safe and enjoyable holiday; therefore all travel arrangements prepared by us are completely secure. 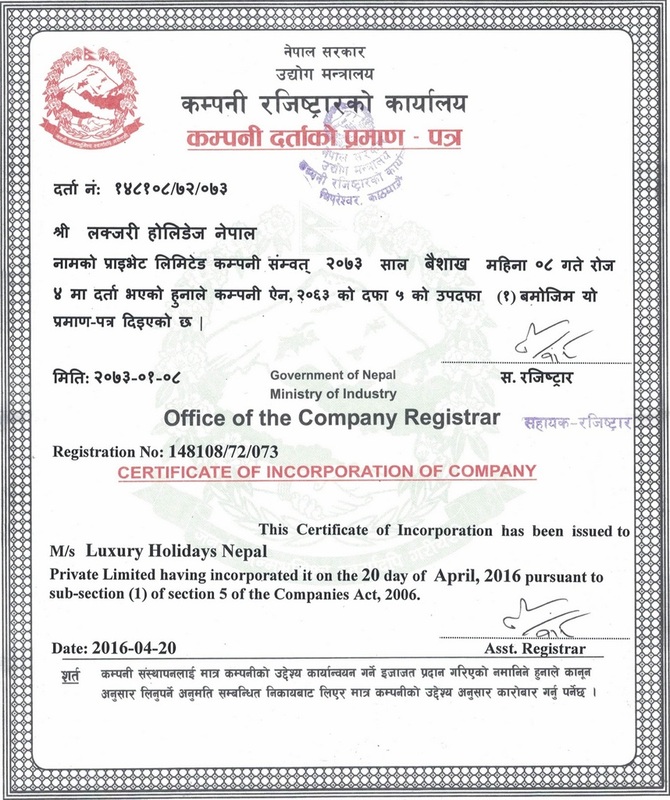 Luxury Holidays Nepal is a well-known government licensed trekking and touring company in Nepal. 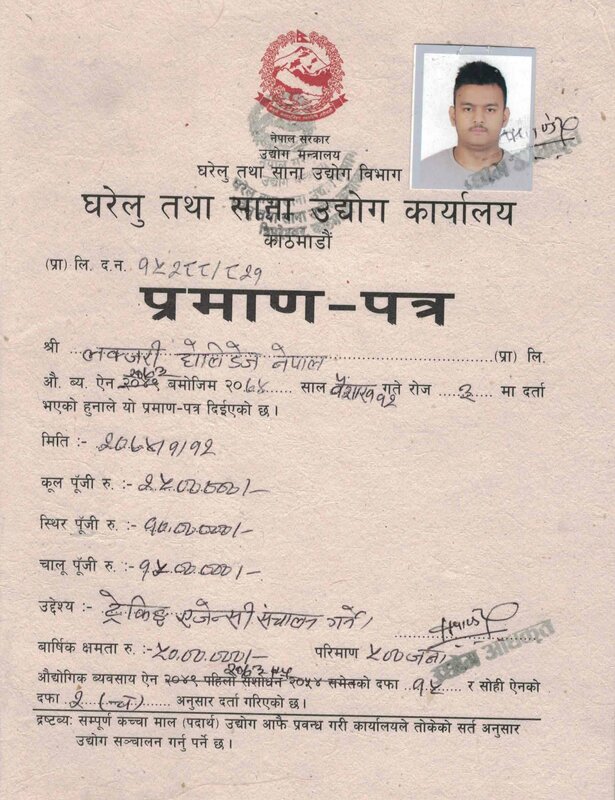 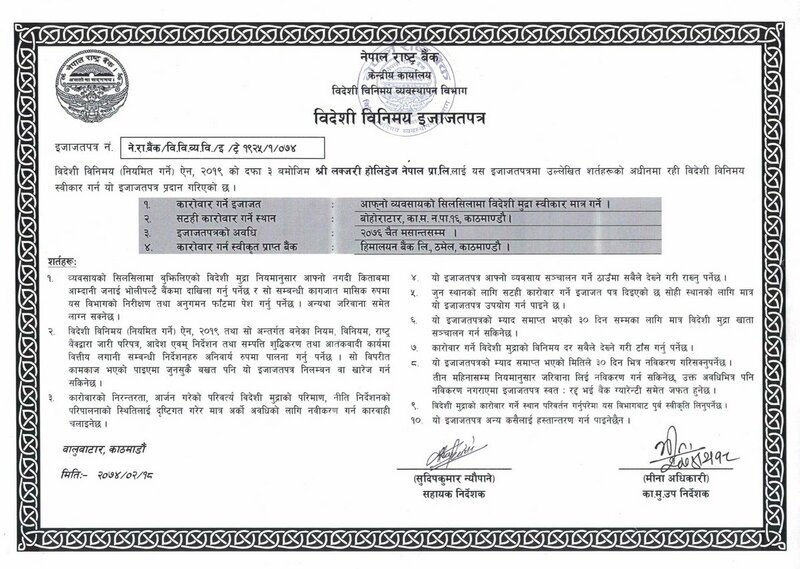 Please find the details of government licenses and authorities that Luxury Holidays Nepal holds.